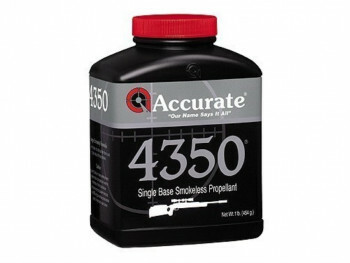 Accurate 4350 is a short cut, single-base, extruded rifle powder in the extremely popular 4350 burn range. A highly versatile powder, 4350 can be used in a wide range of cartridges from the popular 243 Win to the 338 Win Mag with excellent results. Accurate 4350® is an exceptional choice for the 6mm Rem, 270 Win, 280 Rem and 300 WSM. This short cut extruded powder meters accurately, resulting in excellent shot-to-shot consistency. Made in Canada.